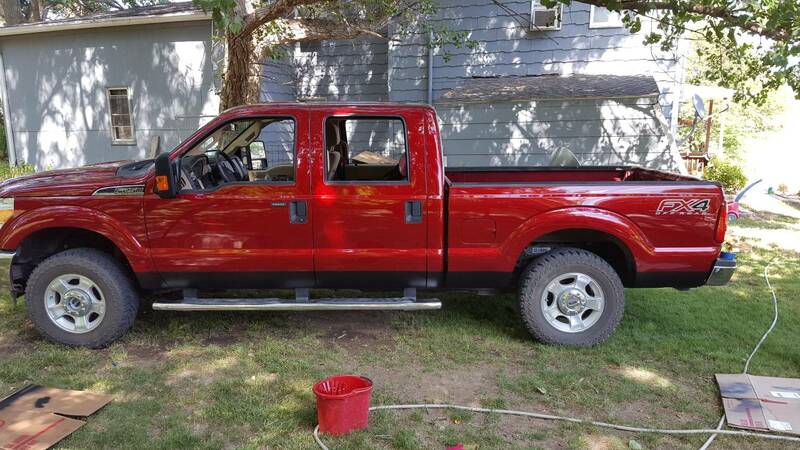 I'd like to get people to post pictures of there super duty and to show what all you have done and what you're thinking of doing. Not only so we can brag about our bad $$$ trucks but to get ideas too. Thanks everyone. I used duplicolor bedliner to do the bottom six inches because the fenders were really beat up by gravel. Total project cost was under 20 bucks.